Ohio Garage Interiors, started by father and son team Chad & Scott Gleske, has been serving the Northeast Ohio area with their quality products like epoxy garage flooring and storage solutions to fit any need you have to re-invent your garage. Their products are made to withstand the harsh elements of a garage environment but still maintain a sleek and stylish design. When you think about it, the garage can be the largest room of a house yet it remains cluttered and with a high area of foot traffic, there can be a lot of wear and tear on the flooring. Ohio Garage Interiors designers will help create the best interior garage solution based on your unique practical and stylistic needs. They can select a storage solution that gives your garage organization and style and they can also choose a high-performance coating system that will give your garage the elegance and durability it desires. The Ohio Garage Interiors floor coating is a high quality, non-porous, stain-resistant, and easy to maintain surface. They use an extremely durable hybrid polymer so their floor coatings are four times stronger and more flexible than standard epoxy that other companies use. Other coatings can wear down or peel through but Ohio Garage Interiors coatings permanently bond to the concrete for ultimate durability. No more tracking in dirt and no more difficult cleaning. All it takes is a quick sweep and mop and you’re done. It offers a contemporary, attractive finish that is no match for spills, stains or the extreme temperatures associated with the garage environment and the coating system also has great slip resistance when the floor gets wet so it requires no annual maintenance or re-sealing. 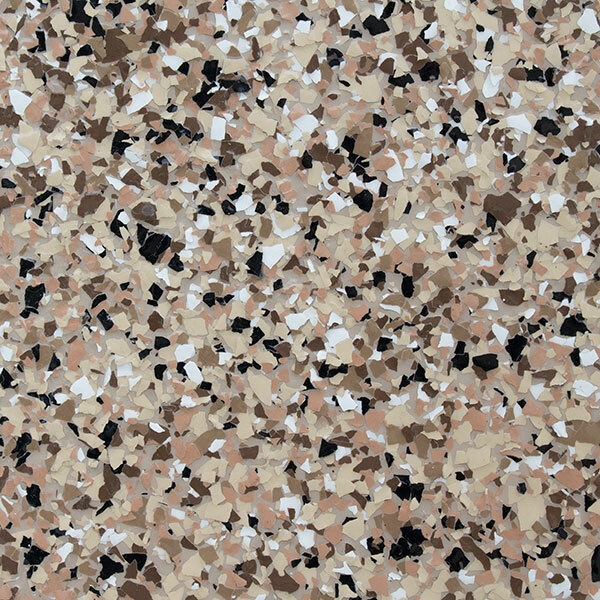 Flooring at Ohio Garage Interiors can come in a variety of flake colors, patterns and sizes while also remaining UV resistant, environmentally friendly without any toxins or VOC’s. Epoxy garage flooring at Ohio Garage Interiors comes with a ten year warranty against peeling and wear and tear so get ahold of them today to customize your garage flooring and storage today with quality that’s guaranteed to last.